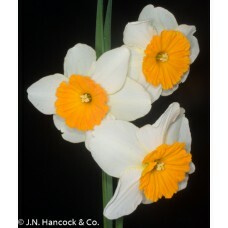 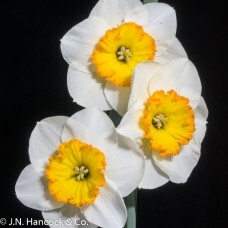 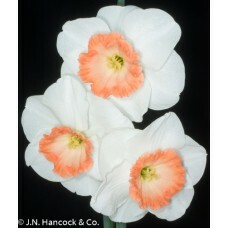 These delightful showy varieties are a complete contrast to the traditional trumpet shape. 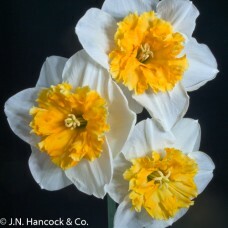 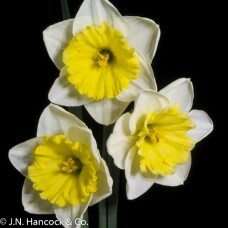 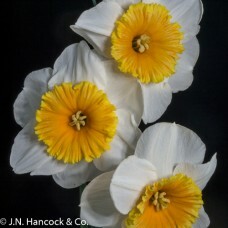 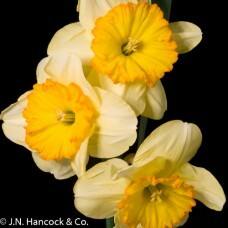 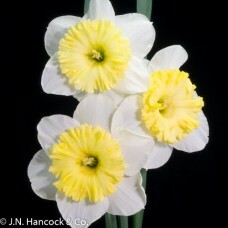 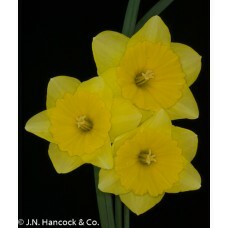 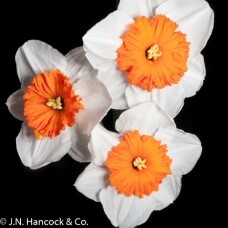 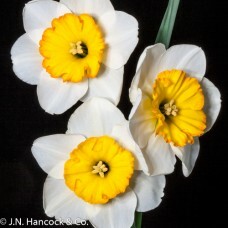 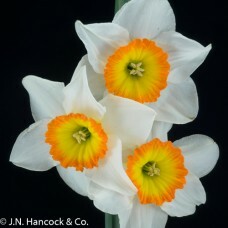 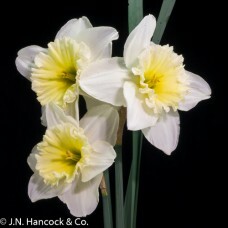 Each one has the centre flattened into a most striking ‘disc’ often frilled, ruffled or pleated. 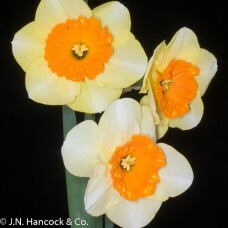 An outstanding bloom. 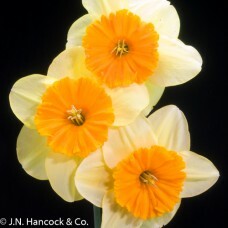 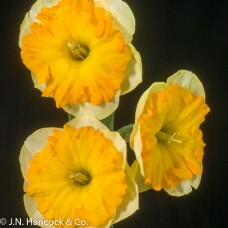 The huge yellow perianth backs the flattened and pleated, soft-orange cup with..